Pokémon: Let’s Go, Pikachu! and Let’s Go, Eevee! may be the series’ first exclusive Nintendo Switch games, but they may not be the RPGs longtime fans were expecting. But during a press conference held in Japan, The Pokémon Company confirmed that its next generation of games will arrive in 2019. “We’re also hard at work on another Pokemon core RPG designed for Nintendo Switch,” said series director Junichi Masuda toward the end of the presentation. 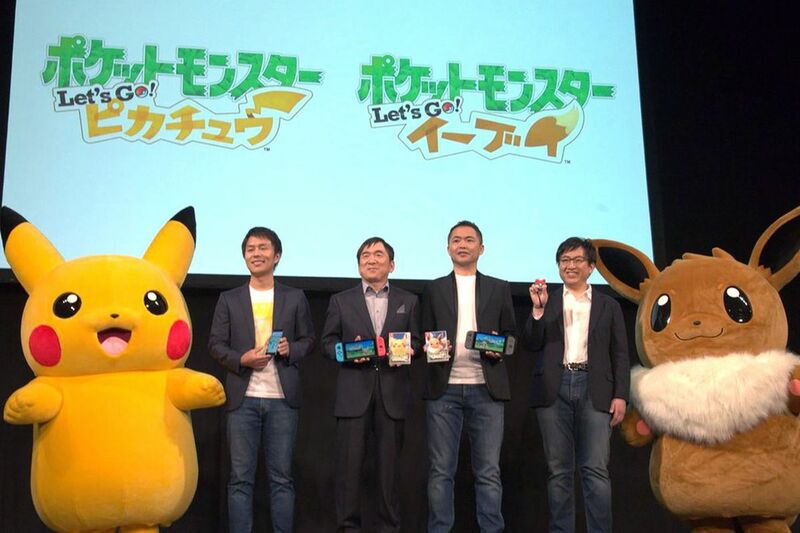 “It’s being designed simultaneously with Let’s Go, Pikachu! and Let’s Go, Eevee! “Today I can only tell you of its existence, but I can assure you that there’s another game that we’re pouring a lot of our energy into over at Game Freak,” according to Masuda. Company president Tsunekazu Ishihara later clarified that these titles will be “in the tradition of Pokémon X and Y and Sun and Moon,” suggesting that they’ll comprise the eight generation (!) of games. The Pokémon Company first revealed that a traditional set of Pokémon games were in the works for Switch during Nintendo’s E3 2017 stream. This tiny check-in marks our first update on the projects since last June; until we learn more, we have the newcomer-friendly, Pokémon Go-inspired Let’s Go! games to tide us over. They’re out in November. Watch the full, 45-minute press conference below for more info on both Let’s Go! games, alongside Pokémon Quest, which is available on Switch now. Why do Some Translated Manga Use Honorifics Like -San, -Chan, and -Kun and Some Don’t?